Geno Smith tied a record for any bowl game with six touchdown passes, including four to Tavon Austin, and No. 23 West Virginia set a bowl scoring record by beating No. 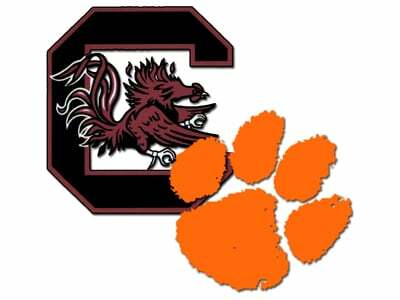 14 Clemson 70-33 on Wednesday in the Orange Bowl. Clemson returns to the Orange Bowl for the first time since Danny Ford and the Tigers won their first national championship 22-15 against Nebraska in 1981. 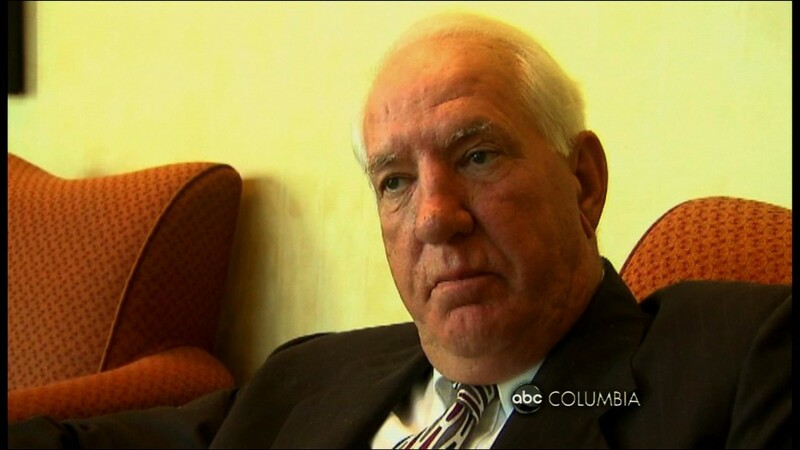 Ford's induction into the Orange Bowl Hall of Fame corresponds with Clemson's first trip back to the Orange Bowl. 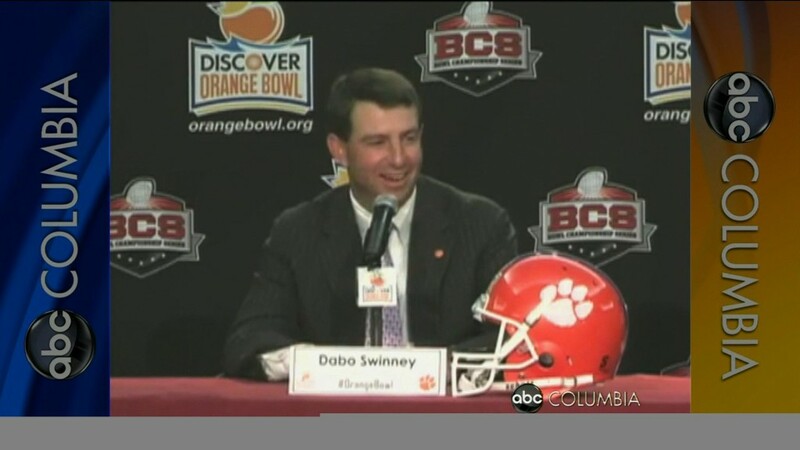 Dabo Swinney talk Orange Bowl and makes fun of his star defensive end Andre Branch. Devin Booker scored a career-high 22 points and Clemson held East Tennessee State to 26 points in the second half in a 65-58 victory over the Buccaneers on Sunday at Littlejohn Coliseum. 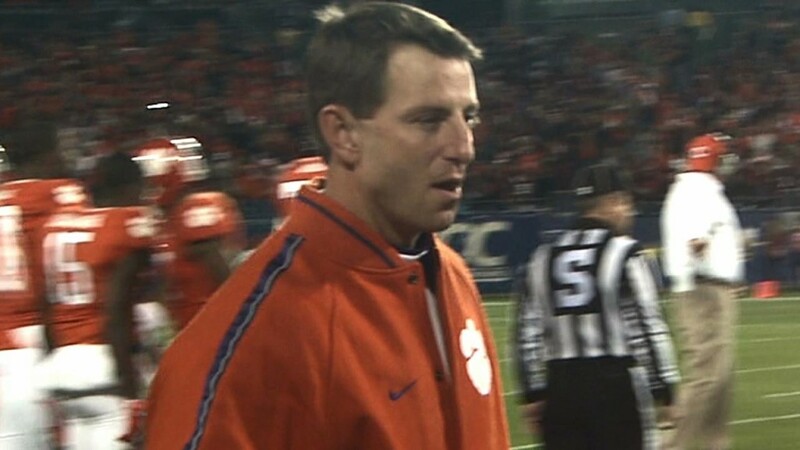 Clemson Head Football Coach Dabo Swinney has been named the winner of the Bobby Dodd Award as the FBS National Coach of the Year. 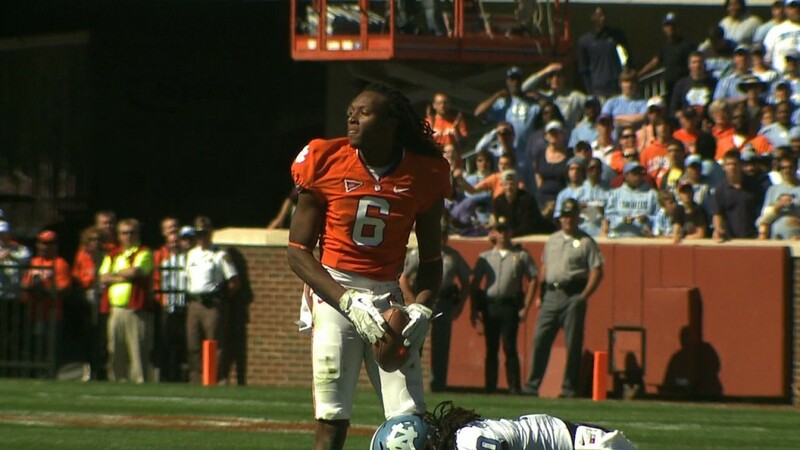 DeAndre Hopkins, the second leading receiver on Clemson's ACC Championship football team, was injured in an auto accident Tuesday morning and did not accompany the Clemson team to Miami. 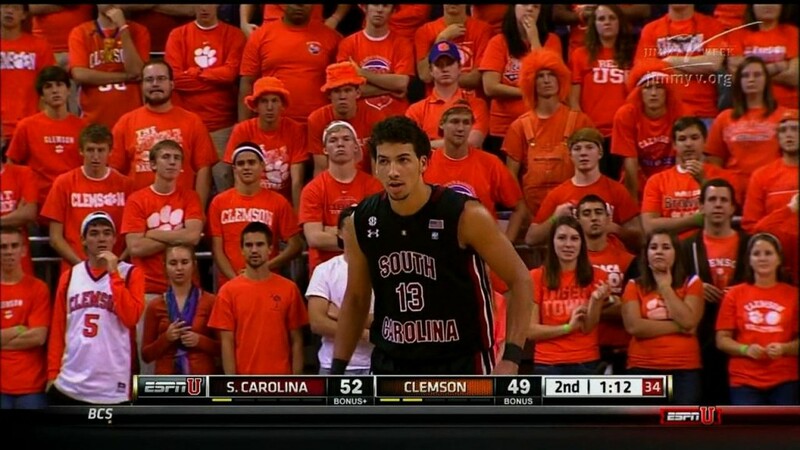 Tanner Smith scored a career-high 26 points as Clemson defeated Southern Illinois 83-75 in overtime on Friday. Clemson tight end Dwayne Allen and South Carolina defensive end Melvin Ingram have been named consensus All-Americans by the NCAA. 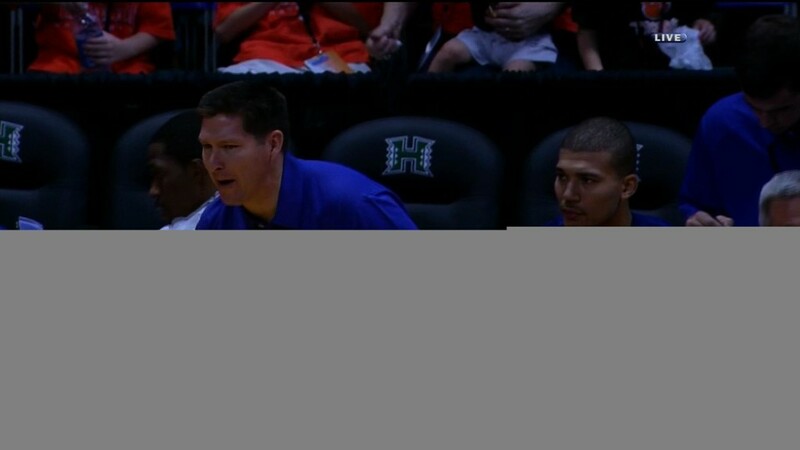 Michael Perez scored a career-high 25 points to lead UTEP to a 61-48 victory over Clemson in an opening-round game of the Diamond Head Classic on Thursday. Devin Booker had 13 points and seven rebounds as Clemson overwhelmed Alabama State with its size and halfcourt defense Monday night, strolling to a 70-45 win. Thursday was the first day the Clemson Tiger players spoke to the media since its ACC Championship on December 3rd. Among the topics, the NFL future of junior tight end Dwayne Allen, and the holiday cheery atmosphere that was witnessed during football practice. The sun continues to shine down on the Clemson football team. 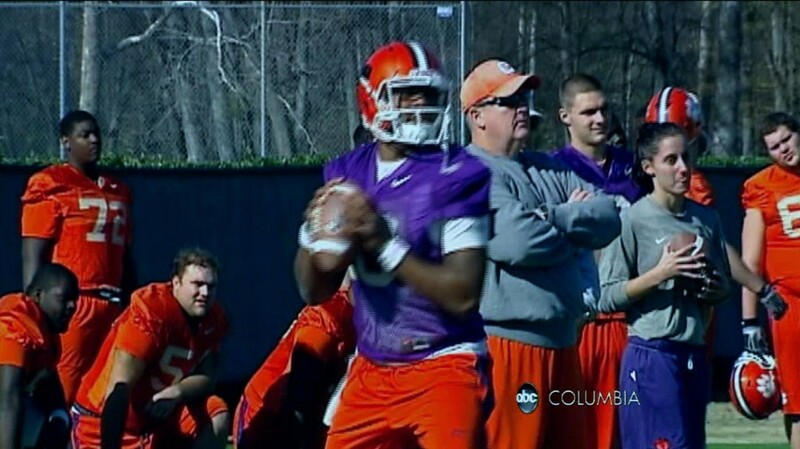 The Tigers opened practice for the Discover Orange Bowl Tuesday to a sunny and warm day without a cloud in the sky. Two Gamecocks and five Tigers have made the 2011 Sports Illustrated All-American team. First team selections include Gamecock defensive end Melvin Ingram, Clemson tight end Dwayne Allen, and Clemson kick returner Sammy Wakins. Watkins was also named honorable mention as a wide receiver. 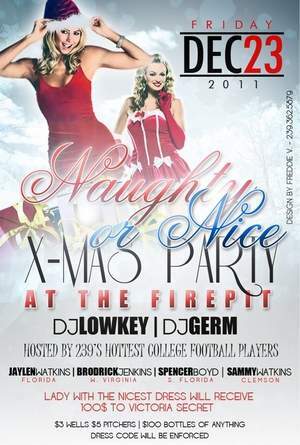 A flier has popped up in Florida as well as on the internet promoting an event with the name of Clemson Tiger wide receiever, Sammy Watkins on it. 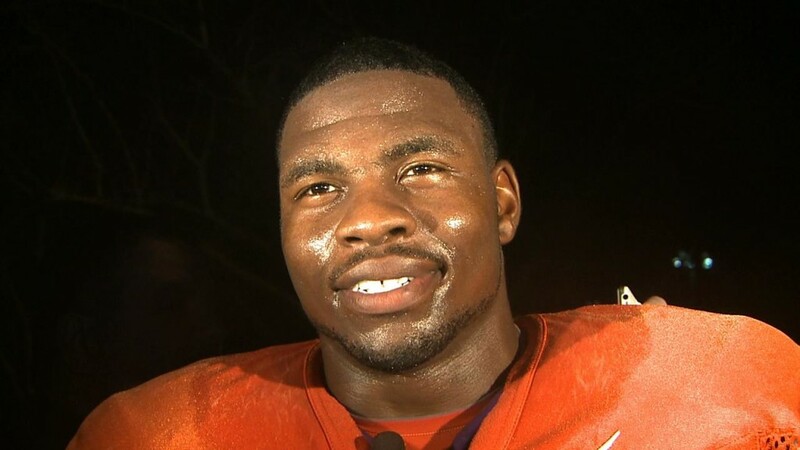 Clemson tight end Dwayne Allen was named a first-team All-American ESPN. It is the third All-America team for Allen, who was also named the winner of the John Mackey Award as the top tight end in college football. 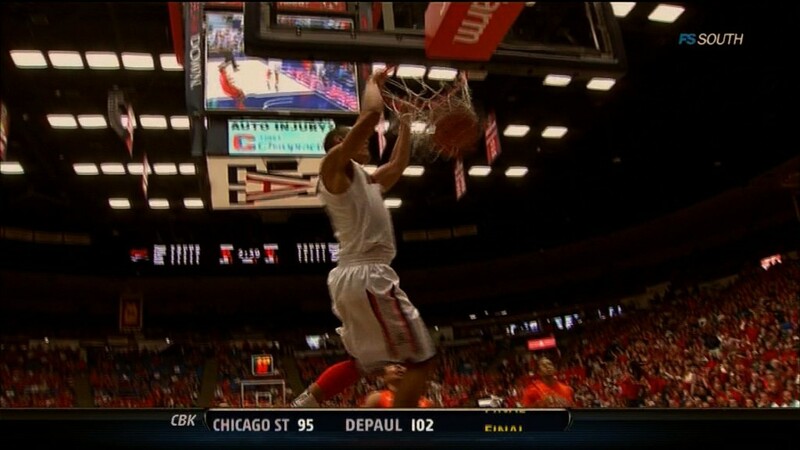 Arizona rode a big first-half cushion to a 63-47 win over Clemson on Saturday. 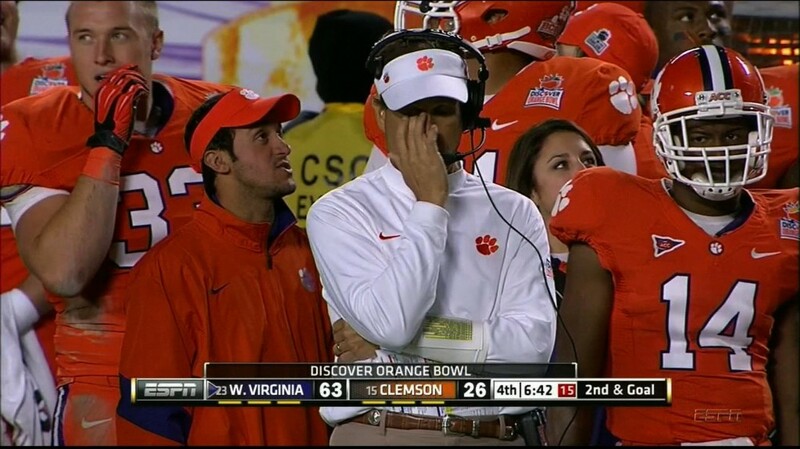 Clemson (4-4) got off to a miserable start offensively and never fully recovered. 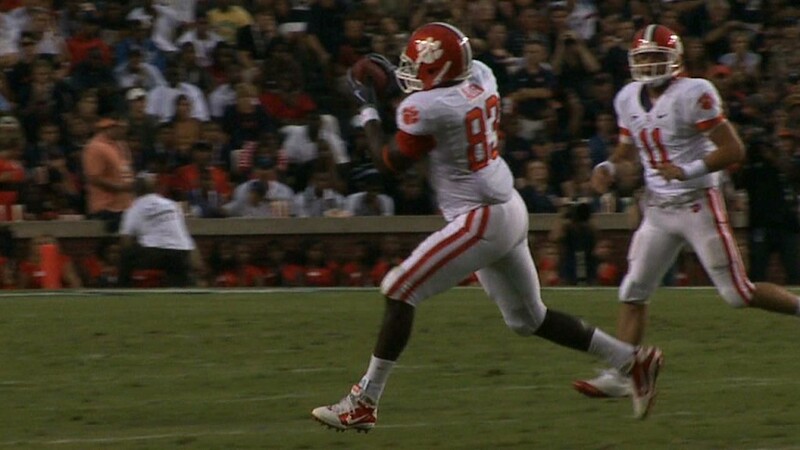 Clemson tight end Dwayne Allen has been named to the Football Writers Association All-American team. 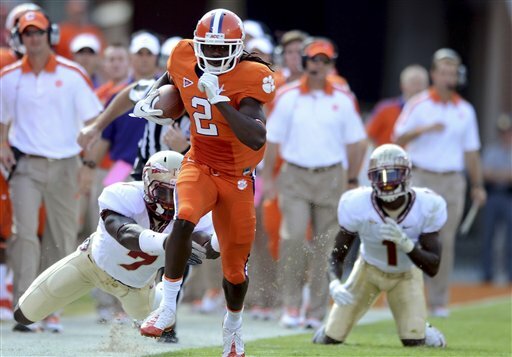 Clemson wide receiver Sammy Watkins has been named National Freshman of the Year by Rivals.com. Additionally, Watkins was named a first-team All-American on the site’s overall team, and a first-team freshman All-American. Watkins was the only freshman nationally to be named first-team All-American by Rivals. Clemson junior tight end Dwayne Allen was the recipient of the John Mackey Award Thursday evening at the Home Depot College Football Awards show in Orlando, FL. Two defensive ends from the Palmetto State have been named to the 2011 Walter Camp Football Foundation All-America team. South Carolina defensive end Melvin Ingram made the first team defense. Clemson defensive end Andre Branch made the second team defense. 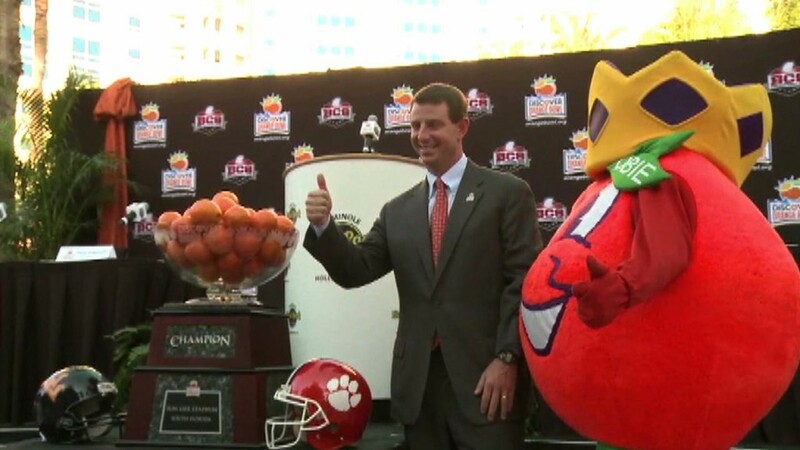 Clemson's Dabo Swinney says "cheese" for a Orange Bowl preview press conference in South Florida. 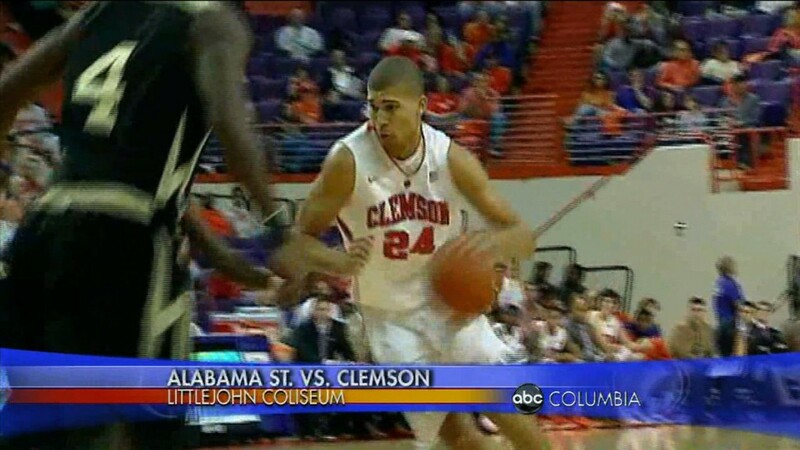 Tim Hill has that story as part of Wednesday's sportscast on the ABC Columbia News at 11. 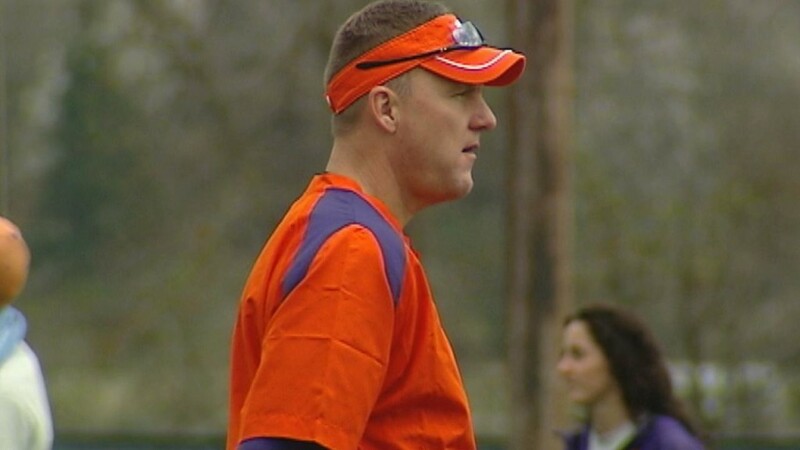 Clemson offensive coordinator Chad Morris won't only be sticking around as the Tigers offensive coordinator next season, but will now become the highest paid assistant in the country. Morris' new deal is worth up to $1.3 million. 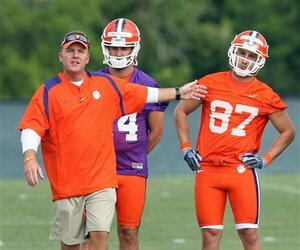 Chad Morris has agreed to a new contact to remain at Clemson as the football program’s offensive coordinator. The terms of the agreement will be released at a later date by Athletic Director Terry Don Phillips. Anthony Gill hit a tiebreaking 3-pionter with 1:19 left and Bruce Ellington and Malik Cooke had clinching free throws to lift South Carolina to a 58-55 victory over Clemson on Sunday. 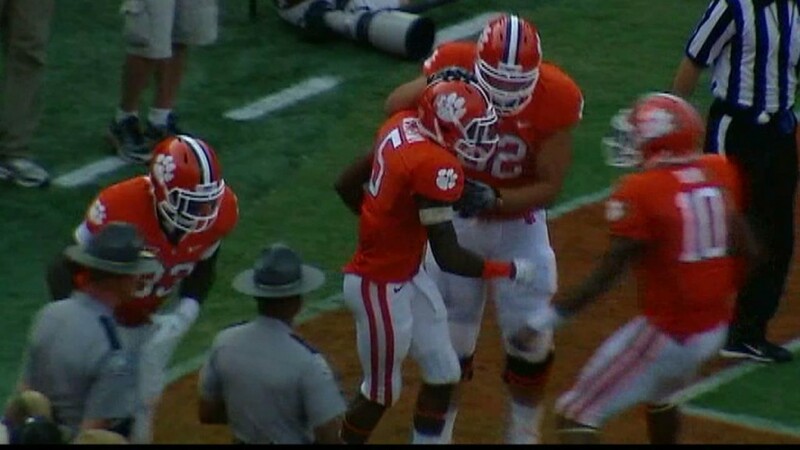 Clemson reserve tailback Mike Bellamy has been suspended for the Atlantic Coast Conference championship game for violating team rules.